Indulge in pure luxury with the PrimaDonna Soie Belle Kimono in black. 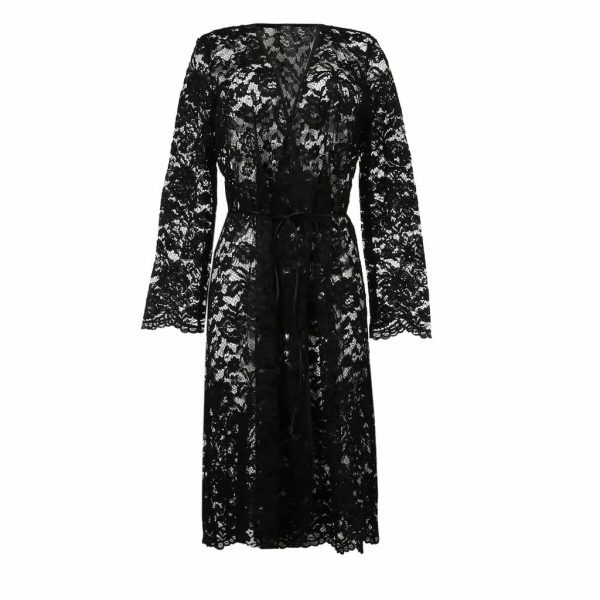 Combining premium lace with luscious silk, this stunning robe is certain to make you feel ultra feminine. The striking Soie Belle kimono is crafted entirely from sheer lace with an ornate structure. It falls loosely, skimming over your hips and bottom. What’s more, it can be cinched at the waist with the delicate silk belt, accentuating your curves beautifully. Wear over your favourite nightwear for a sensual look. Alternatively, add an extra edge to your evening outfit for a flattering silhouette.